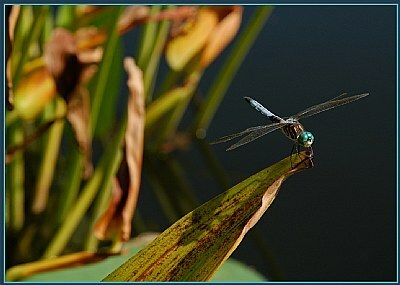 Dragonflies are very nice... and I'm very sad that we don't have here in my place, nice shot, very good focus Julie. Your comments always make me happy dear Parehan. Thank you so much!!! Much peace and love back to you my dear friend. Absolutely amazing capture, Julie. Sharpness and colours are incredible. The lens is the same, the Sigma 17-70 with a macro function. Love it! I do love the colors of the eyes as well. I was lucky he didn't move. Thank you so much for your comment my friend. You always so kind my dear friend. Thank you so much for your continued support. I really appreciate it. Thank you again dear Marian!!! Thank you so much for your critique my dear friend Bruce. Very nice dear Julie. I love the balance in this shot with the angles created within the composition. Lovely clear details on the dragonfly, I love the colours of the eyes. 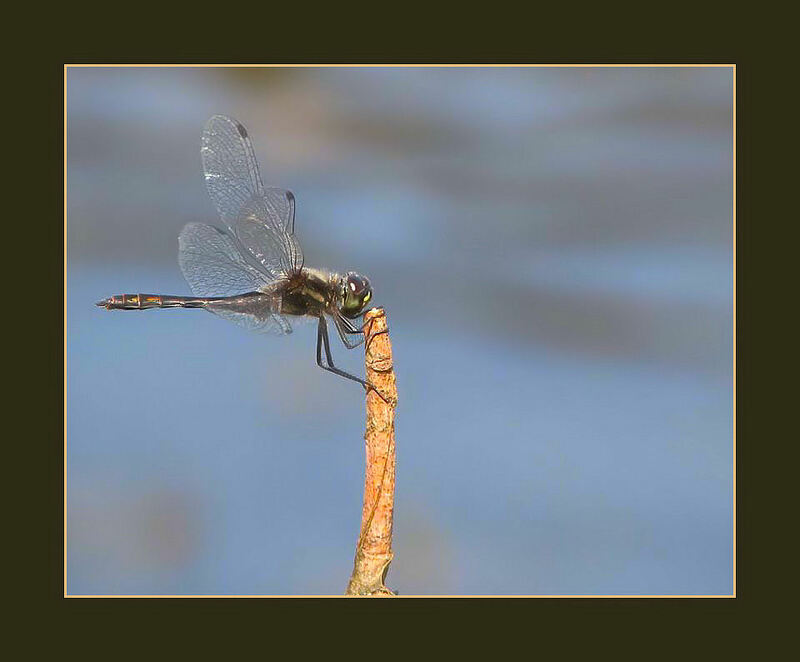 I myself are yet to get a nice dragon fly shot. Ultra sharp compared to its background and in a well thought composition. Indeed a landing but you are really taking off with this capture. You are such gifted with a helicopter view. wonderful macro shot dear Julie!!! Great macro Julie. I agree complely with Michele. Excelent photo. I might take some of the distraction out. the dragon fly and leaf is beautiful. this is fabulous macro dear Julie! Great macro again Julie. As proposed my Sunset Man a portrait mode would also looked pretty good. But this looks perfect as well. so nice macro composition with suerb light! Thank you so much for your support as always my dear friend. Hope you had a wonderful weekend. Thank you so much dear cousie. Yeah it was quite funny, I am sure people think I am nuts from time to time when I am shooting...hehe. :) I love your dragonfly dear Riny. Thank you so much, I will cherish that gift forever. Thank you so much for your kind words my dear friend. Thank you so much for your kind commemnt. 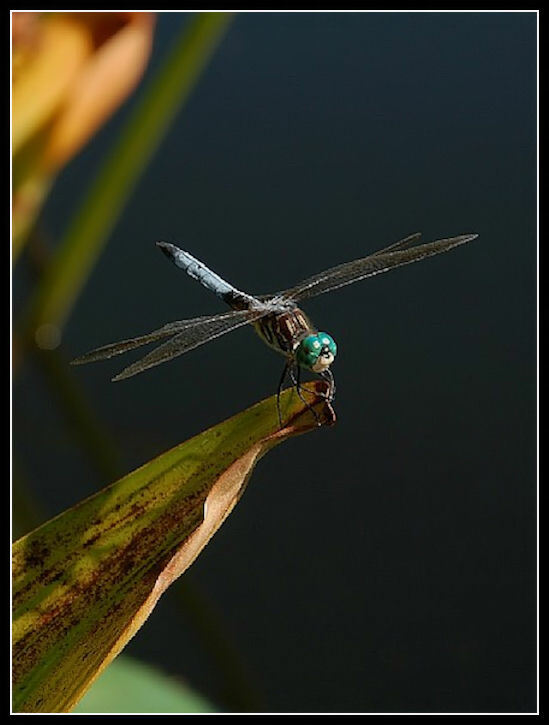 look at those wonderful details on the dragonfly!!!!! fine colors and DOF!!!! b r a v o!!!!! Nice dof and details of the dragonfly. didn't crop it vertically but I do like it as well. Thank you for taking the time to comment and work on the image for me. Much appreciated. A very interesting composition for sure exceeding the 'Rule of Thirds' into the 'Rule of Fourths' :)) and a Vertical Crop works also per the attached but you already knew that ... Right? Mahalo = Thanks for sharing! Thank you so much my dear friend. Hope you are having sweet dreams. Thank you so much my friend. You should have seen me trying to capture this. It was hysterical, I almost fell in the pond...haha. I hope you are enjoying your weekend.